Plant real grass in the Easter Basket!!! And plant it today or tomorrow or your basket might not be ready in time. I like to use Cat Grass. The seeds sprout quickly, the grass grows fast and the leaves are very thick so it makes for a nice looking basket. 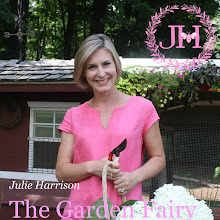 Watch me demonstrate how to plant real grass in a basket HERE. For a couple of dollars, you can have real grass. If you have cats they apparently love to chew on this stuff (I don't really know I'm not a cat person). It's truly GREEN. It's so much better than that fake plastic grass that gets all over the house and adds to the landfill. My living grass next to a 'strand' of plastic. What looks better? Make sure you watch this quick video from WFSB's Better CT Click HERE (if you haven't already), plant some grass and you will have the best Easter basket ever this year!